It is not just for its tasty goodness that we love honey. This sweet sticky superfood is also a bonafide beauty product in its own right. 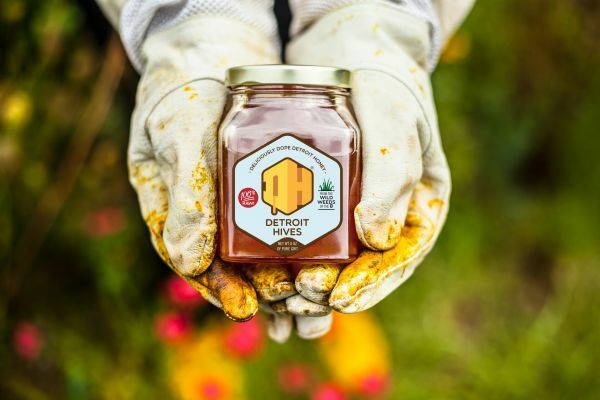 Since one little bee can produce only a spoonful of honey in its entire lifetime, we assume that’s a humble amount for the myriad of benefits. 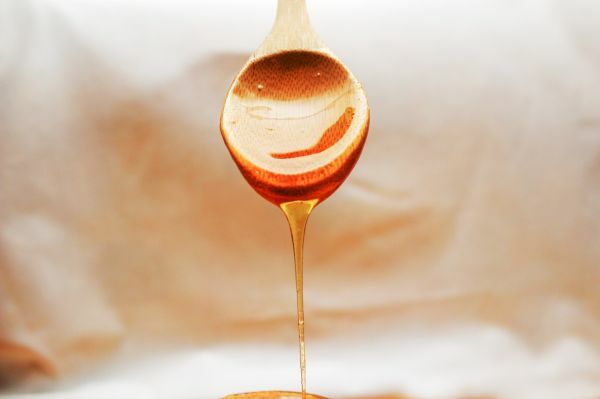 Full of vitamins and minerals like calcium, iron, riboflavin, and niacin, honey is a miracle beauty product available right in your kitchen pantry. 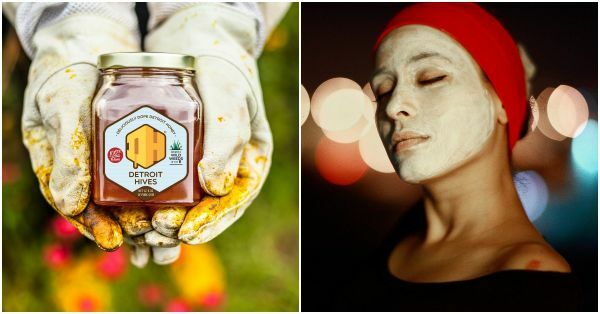 Using this wonder product in your hair and skin care regime is not a new beauty craze that is overhyped on the internet, for the beauty benefits of honey are practically innumberable! Run through the products category of Sephora, and you will get a fair idea about the modest existence of honey in its skin care range. 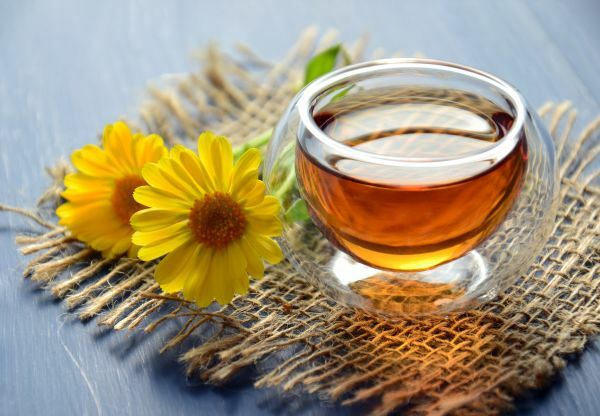 Not just the modern beauty industry, honey has a decent mention in Ayurveda as well, owing to its anti-bacterial and anti-inflammatory properties. If you are still not convinced on why you should be slathering a dollop of honey on your bare face, let’s figure out why you SHOULD. But first, here’s a fun fact: did you know there’s an entire month dedicated to the goodness of honey? In the U.S, the month of September is celebrated as National Honey Month in the honour of this liquid gold! Honey is a miracle worker when it comes to skin and hair. Not only is it all natural and totally organic, but its antioxidant-rich properties ensure that your skin and hair get all the TLC they need! Honey helps remove dirt and grime from the skin. Sounds like one sticky and messy affair, doesn’t it? Well, ladies, all you have to do is mix some jojoba oil (or any not-too-sticky oil as per your preference) and the balmy texture you get will be easy to swipe over your eyes and lips. This will not only maintain the moisture levels of your skin, but also clean off any make-up thoroughly. You can also add a pinch of cinnamon or turmeric to this. Apply this all over your face in circular motions and rinse your face with slightly warm water. Honey has antiseptic and antibacterial properties that fight acne-causing bacteria. Apply a thin layer of honey on your face and leave it on for thirty minutes. Wash your face with normal water. 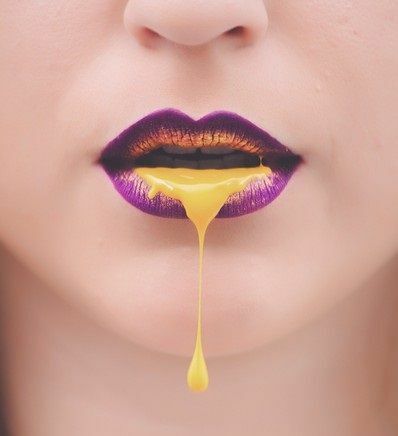 Some people are allergic to honey, so, we suggest applying a small amount around your jaw first for a patch test. Apply raw honey directly on the acne spots and leave it on for 15 minutes before washing it off with warm water. You can also leave it on overnight and let the magic of honey work on the blemishes throughout the night. Wash it off the next morning. While the antibacterial property of honey keeps acne and infections away, its antioxidant properties prevent skin damage. Also it is a clarifying agent that removes blackheads and unclogs pores. Glowing skin is one beauty benefit of honey that we absolutely swear by! Add half teaspoon of lemon juice to one teaspoon honey. Apply this all over your face for an instant glow. Mix two parts honey and one part baking soda. It lightly exfoliates the skin while soothing it too. This concoction can be used on your entire body and will result in smooth and moisturised skin. Leave this combination on your skin for about 10 minutes and then scrub it off in a circular motion. Use a damp cloth to get rid of the stickiness. Give it a shot right away! By providing nutrition to the damaged tissues, honey reduces inflammation of the skin and treats sun damage. Take one teaspoon honey and add two teaspoons of aloe vera gel to it. Apply on the sunburns and rinse off after one hour. Repeat the process everyday for a week and you will see a significant difference in your skin. Honey is a natural humectant and therefore, acts as a great moisturiser. The extra moisture smoothes out wrinkles. Moreover, the antioxidant properties of honey soothe dry skin and delay ageing. Mix a tablespoon of honey to one tablespoon curd or papaya and apply it on your face. Wash it off after 30 minutes. Honey tackles the problem of hair fall and promotes hair growth. Prepare a mixture of curd and honey in equal proportions and massage it on your scalp. Leave the mask on for an hour before washing it off with a mild shampoo. Another way to use honey for hair growth is - take two tablespoons of honey (or more depending on the length of your hair) and add two tablespoons of olive oil to it. Heat the mixture and massage on your scalp. You can also add an egg white to this (optional). Leave the mixture for an hour and shampoo as usual. Honey is a natural hair conditioner because it helps retain moisture. Mix enough water to a quarter cup of honey so that it is neither two drippy nor too thick. Apply this on your hair like you would apply a conditioner. Let it sit for half an hour and then rinse off. 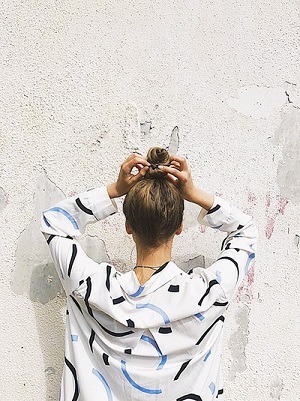 Do this twice a week for hair that feels smooth and healthy. Mash two bananas in half a cup honey and add two teaspoons of olive oil to this mixture. Blend until smooth. Apply it evenly to your hair and scalp and cover with a shower cap. Let the mask sit for 20-25 minutes and then wash it off with a shampoo. P.S. Chunks of banana can get stuck in your hair if not blended properly. Comb through the hair after shampooing and before rinsing to get rid of them. Mix raw organic honey to one portion water and prepare a solution. Let the mixture work on your scalp and hair for three hours before washing it off. Repeat this once every week for better results. Though trimming your hair regularly is a great way to get rid of those split ends, the use of honey is an easier and much affordable solution. Apply honey on the ends of your hair and let it sit for 15-20 minutes. Then wash your hair with shampoo. Repeat this twice a week for a month to see visible differences. Mix everything in a bowl. Apply the paste all over your face and neck. Wash it with cold water when it dries. Put the solution in an airtight bottle. Spray it all over your face after cleansing twice in a day. Mix everything and apply on your face. Leave it on for 10-15 minutes and wash with water. One of the beauty benefits of honey is that it is a natural moisturizer, so go ahead and get natural! Mix everything and scrub it on your face slowly. Wash with lukewarm water. Do this twice a week for better results. Mix the honey and turmeric powder. Apply on face and let it dry for 15-20 minutes. Wash with water. Mix the egg white and lemon juice in a bowl until it becomes frothy. Then add honey in it. Apply it on your face and wash when dry. Mix the honey and milk. Apply on your face and let it dry for 5-10 minutes. Wash with water. Do this once everyday. You can use the above prepared moisturiser of honey for oily skin. In a blender, make a powder out of the oatmeal. Now add honey to this. Rub on your face in gentle motions. Do this once a week as a scrub. Mix the honey and milk and apply to clean and dry hair. Let the mixture sit on your hair for an hour and then rinse it out. Mash the banana into a paste and add honey and coconut oil to it. Blend this into an even consistency. 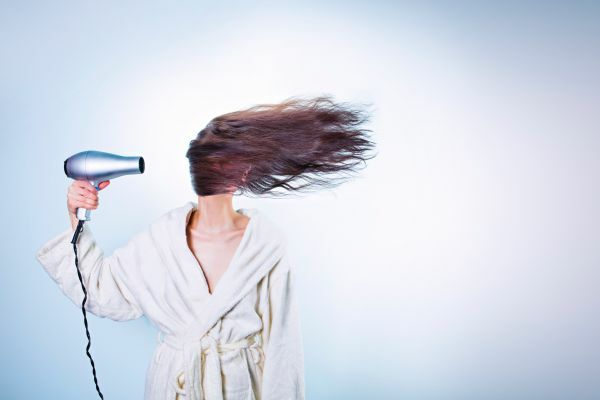 Apply on your hair and scalp and let it dry for at least two hours. Wash with your regular shampoo. Mix the honey in any shampoo of your choice (preferably a shampoo that is best suited for your hair type). Wash your hair with this shampoo on your hair wash days. Mix everything together. Apply on hair and scalp and leave it on for one hour. Shampoo with cold water. These were the few benefits of honey for hair. Boil the water and add honey to it. Let it cool. Apply all over your body and then rinse with cold water. Mix all the ingredients together to form a creamy paste. Apply all over your body and rinse off with water. This is one of the many beauty benefits of honey that even Cleopatra followed! Boil water and add honey to it. Pour milk to this mixture. Run the water and add salt and baking soda to it. Add the honey and milk mixture to it right before jumping into the bath. Mix the oil and milk and heat it until warm. Now add the lemon juice and honey to it. Dip your fingers into the solution. Make sure your hands are clean before you put them in the bowl of honey and milk. Leave the tips of your fingers in the solution for 30 seconds. With a cuticle stick push down the cuticles. Massage the solution into your nails. 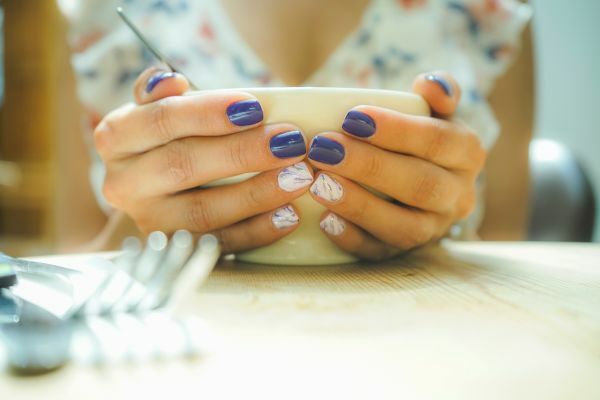 When it dries, massage a soothing hand cream or moisturiser on your hands. Melt the oil and beeswax over low heat. Keep stirring occasionally. Now mix the honey to it. Let the mixture cool and then store it in an airtight container. Apply this on your lips throughout the day as you would apply your regular lip balm. Apply raw honey on your feet and let it sit overnight. Wear your socks to bed for better results. The socks may need a washing the next morning, but that’s worth super-soft feet, right? Can I Switch My Regular Face Wash For Honey? Yes, you definitely can. Honey will give you smooth, plump, and soft skin. Plus, raw honey has no chemicals in it. So that’s an added advantage. You can wash your face with honey the same way you wash with any other cleanser. Wet your face with water. Take a small amount of honey in your palms and smear it all over your face in a circular motion. Rinse with cold water and pat dry. Follow it with your regular toner and moisturiser. The only catch, however, is that honey doesn’t do much in terms of exfoliation. That means, honey doesn’t help much with dead skin, clogged pores and makeup removal. We suggest using honey in your face masks and as moisturisers rather than as a substitute for your regular face wash.
How To Include Honey In My Everyday Life? Your morning routine must involve a full-fledged body detox. Having a glass of lukewarm water with the juice of a lemon and a teaspoon of raw honey in it, will help flush out toxins from your system, that will result in glowing skin and help improve metabolism too. 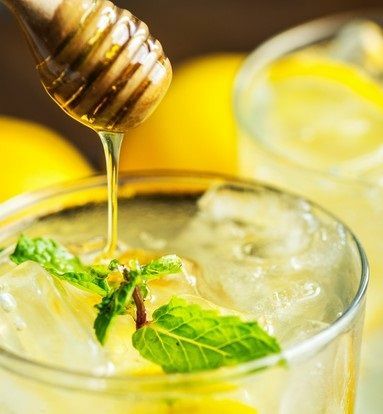 This age-old tradition is one of the most popular beauty benefits of honey and this detox drink makes your skin glow, ask your grandmom! Switch the sugar in your tea and coffee for a teaspoon of honey. Trust us, it is not only nutritious but also delicious. The same can be done to your breakfast cereals, just add a generous spoonful of honey on top. Honey also serves as an excellent dressing for your salads and marinades. Honey VS Sugar - Why Is Honey A Better Alternative? While the sweetness of sugar makes your cakes, brownies and cold coffees all the more delectable, swapping it with honey in as many recipes as possible will be the healthier option. The manufacturing process for sugar ends up eliminating many healthy components, such as protein, vitamins, minerals, organic acids, and nitrogen elements. Honey, on the other hand, is loaded with minerals that will do your skin, hair and overall health a whole lot of good. We advice buying raw organic honey to get the maximum benefits. Adulterated products are also available in the market that do more harm than good. What Is The Best Honey And Where To Buy It? From manuka to alfalfa and sage honey to acacia honey, there are over a dozen types of honey available in the market. How do you decide which one is the best? Needless to say, honey is best in its crude form as it has the highest therapeutic value. Several studies have shown that manuka honey, produced from the pollen of the manuka tree, has amazing antibacterial properties. However, it comes with a high price tag. A bottle of 500 gm of manuka honey can cost anything from INR 4500-5500.